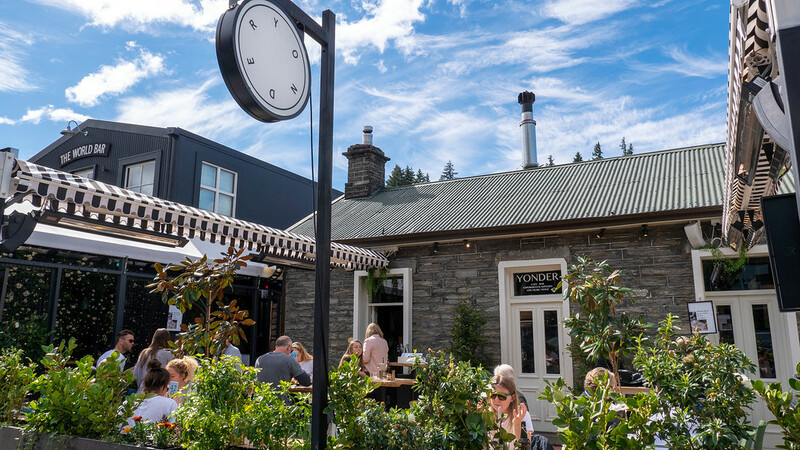 The best things to do in Queenstown, even if you only have a day. A day in a city or town is never enough. Two weeks in a country is never enough. Unfortunately, sometimes you only have a day or two weeks, and it’s all about making the most of your time. There’s a certain balance to strike between exploring a place leisurely and racing around to see it all. You want to see as much as possible, but you don’t want to burn out…especially at the start of a vacation! We had one day in Queenstown…well, we had 1.5 days, but the first half a day was spent sleeping as we were super jet-lagged. Even though we were a little tired, Justin and I had an incredible day in Queenstown, and we were left wanting more. Queenstown is a place where some people choose to begin or end their trip to New Zealand, due to the convenience of the airport. 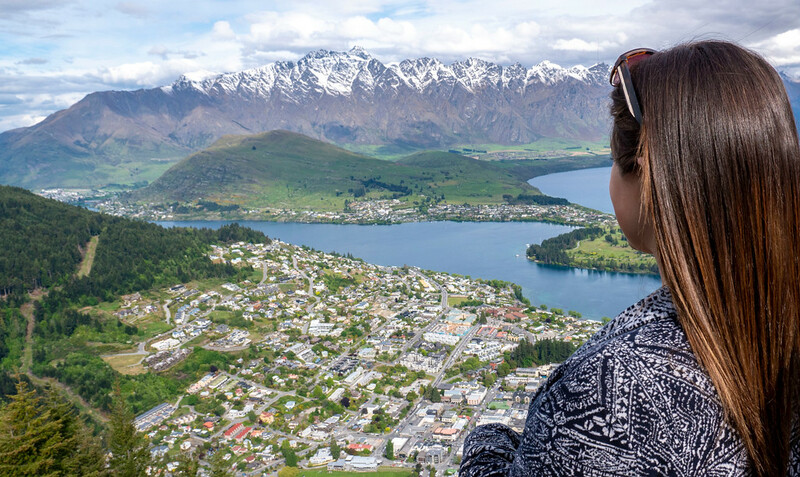 If you find yourself with only one day in Queenstown, this guide is for you. 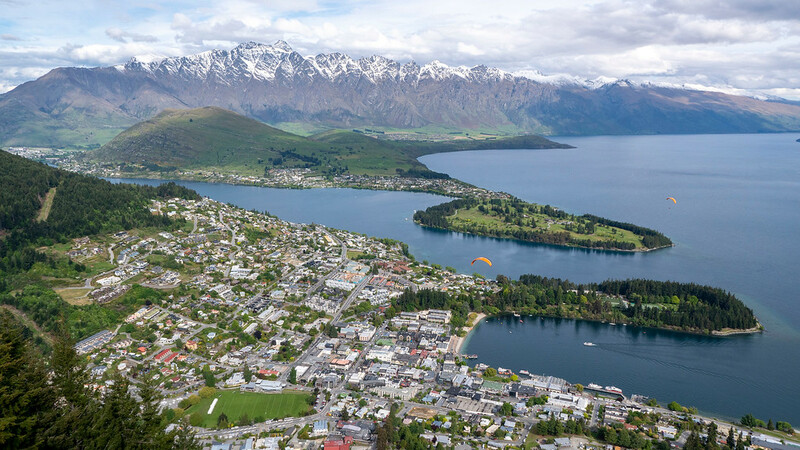 You also might want to take some of our ideas and add them onto some other more adventurous activities that has made Queenstown famous, like skydiving or bungee jumping. You won’t find either of those adventures in this travel guide because those are a little too extreme for the two of us. While we’ll do most activities and excursions, jumping from reeeeeallly high up isn’t for us. 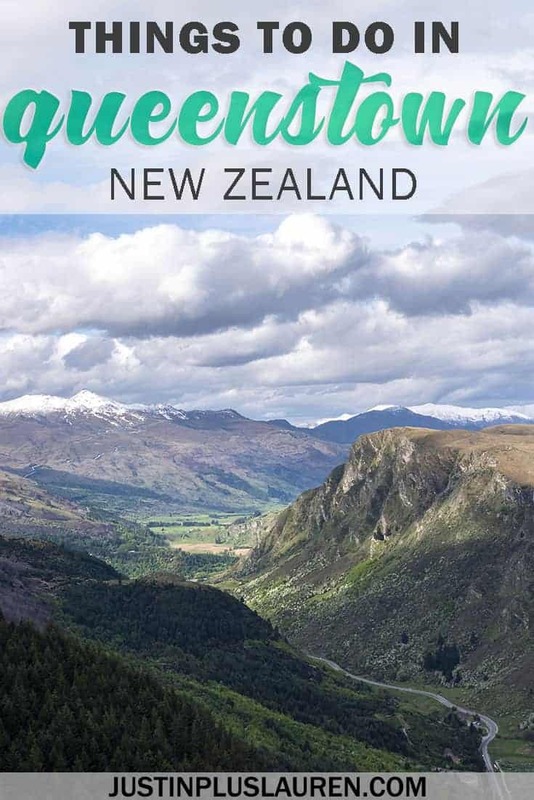 But, we’ll happily show you lots of things to do in Queenstown from the ground and various vantage points around town. Planning a trip to Queenstown, NZ? To see a clear picture of how we spent our day in Queenstown, please watch our travel video. Allow us to show you around town – we’ll play the role of tour guides! 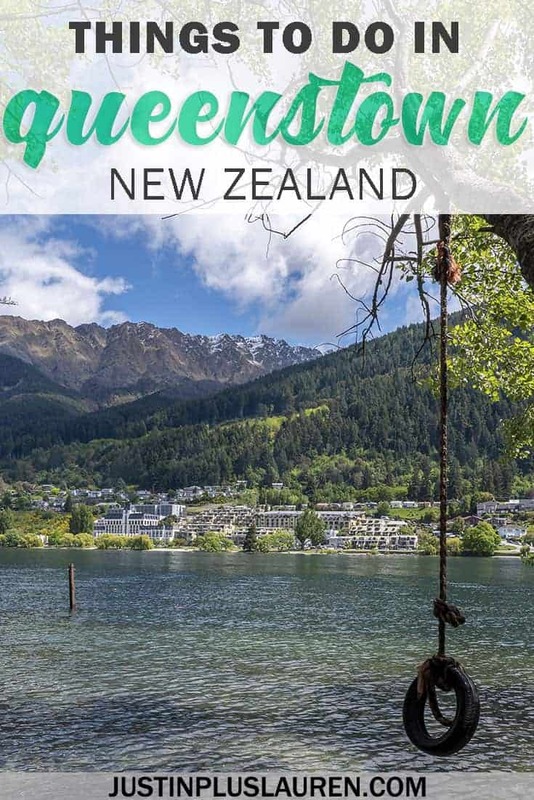 It will give you a glimpse into the best things to do in Queenstown. 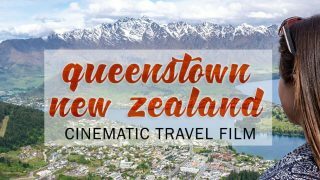 Feel free to check out our other Queenstown video, a cinematic look at what to do in Queenstown. 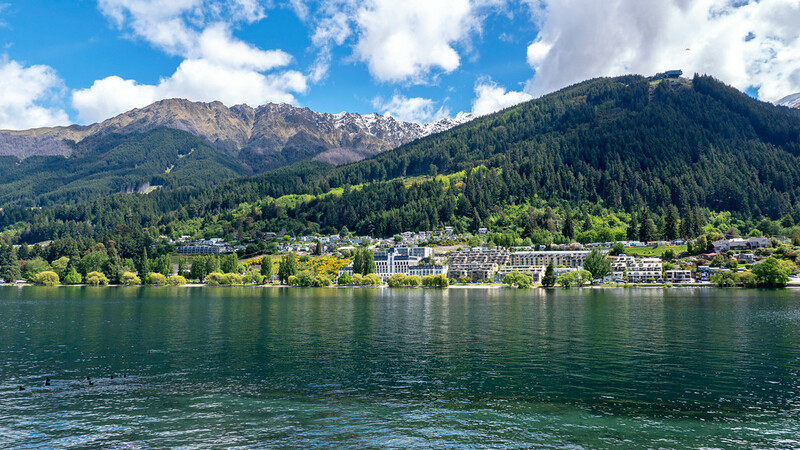 To start off this Queenstown itinerary, take a stroll around Lake Wakatipu. You can’t miss this giant lake right in the middle of town. In the morning, Justin and I walked down to Lake Wakatipu and marveled at the beauty of New Zealand. This was the first moment where I truly relaxed and observed the astounding nature of this unbelievably gorgeous country for the first time. I remember thinking, “I’m finally here!” as it was always a dream of mine to visit New Zealand. 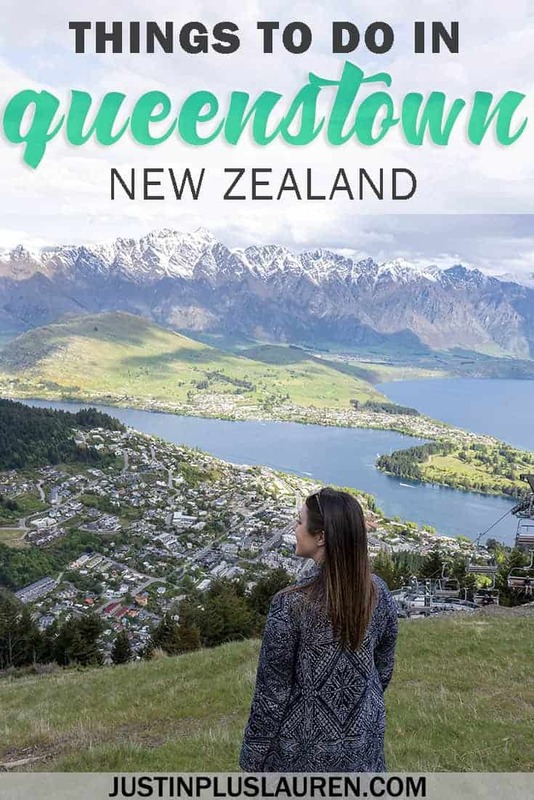 Now, if you’ve driven around New Zealand for quite some time and Queenstown is your final stop, you might not have exactly the same thoughts. 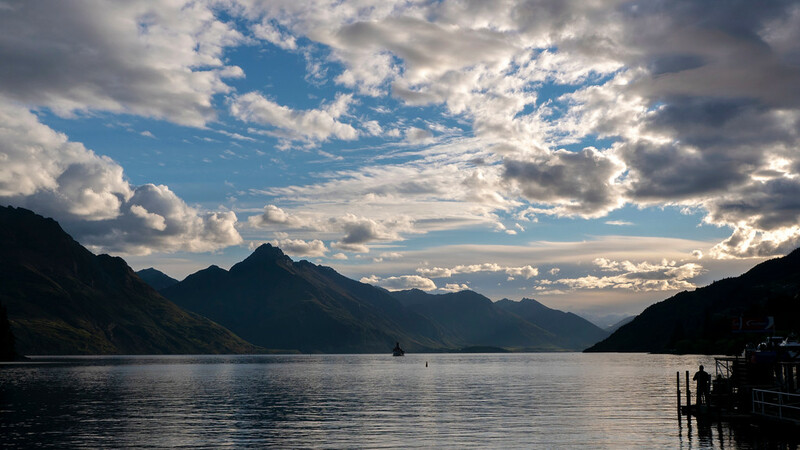 But, Queenstown and the views from Lake Wakatipu are spectacular for those starting or ending their trip in New Zealand. I’m sure that they’re equally as beautiful for those who live in Queenstown all year long. Start at Queenstown Beach at the edge of downtown and admire the deep blue waters. From there, walk through the archway of the World War I memorial and continue on the path. We looped around the southeastern edge of the Queenstown Trail, walking towards local landmarks like the Queenstown Gardens. Sticking by the lake, Justin and I stopped on many occasions to take photos. It’s not so often that you see lush, green hills, stacked with homes, and snow-capped peaks in the distance. There are several benches on the way where you can stop and take in the scenery. You can walk for as little or as long as you’d like. 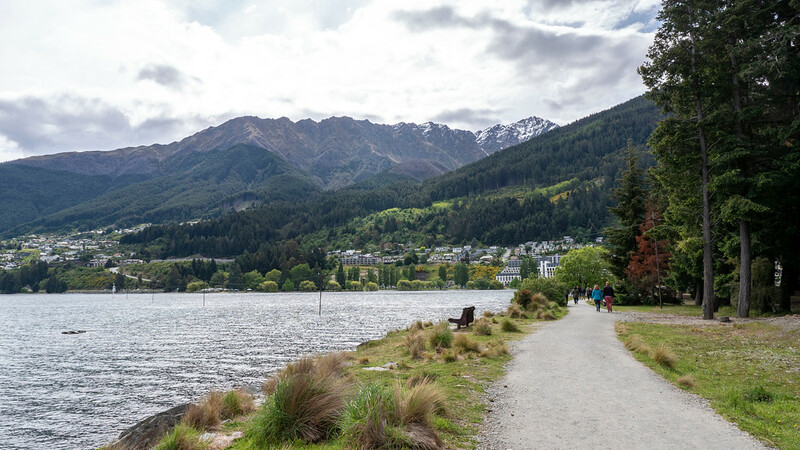 We spent a couple of hours walking along the lake in total, and it was one of our favorite free things to do in Queenstown. 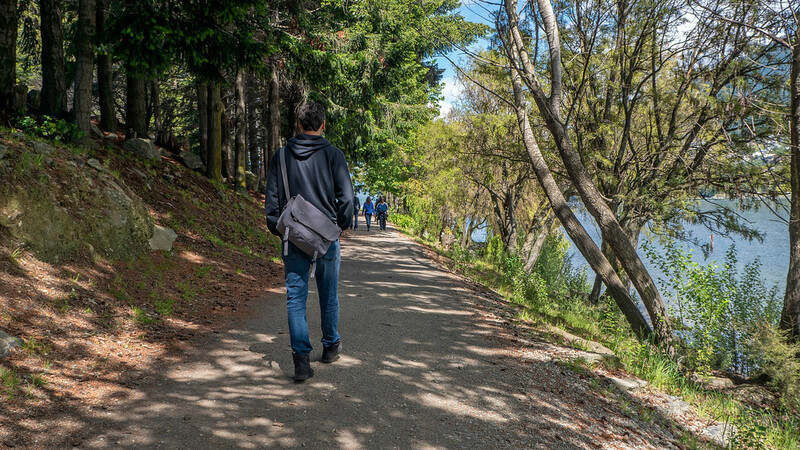 If you prefer taking walking tours, you can book a guided walking tour along Lake Wakatipu to learn more about nature and the Maori legends of the lake. 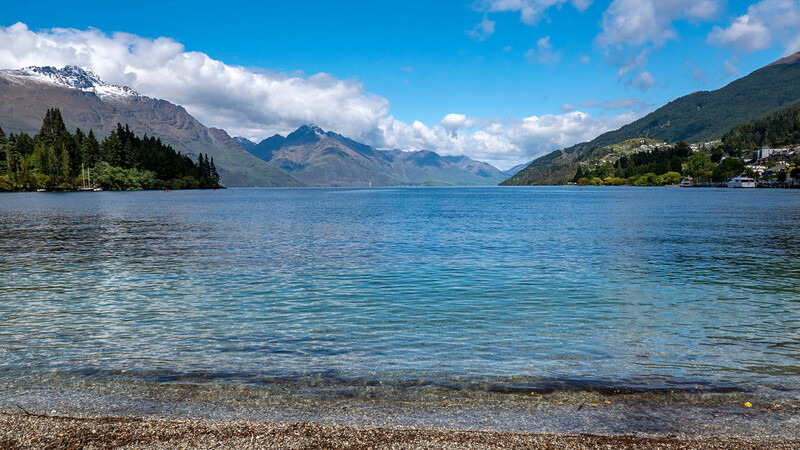 If you’re an adrenaline seeker or looking for more Queenstown activities, there are several companies and tours that depart from offices near Lake Wakatipu. One of the most popular things to do in Queenstown is to take a thrilling jet boat ride on Lake Wakatipu and the Shotover River. 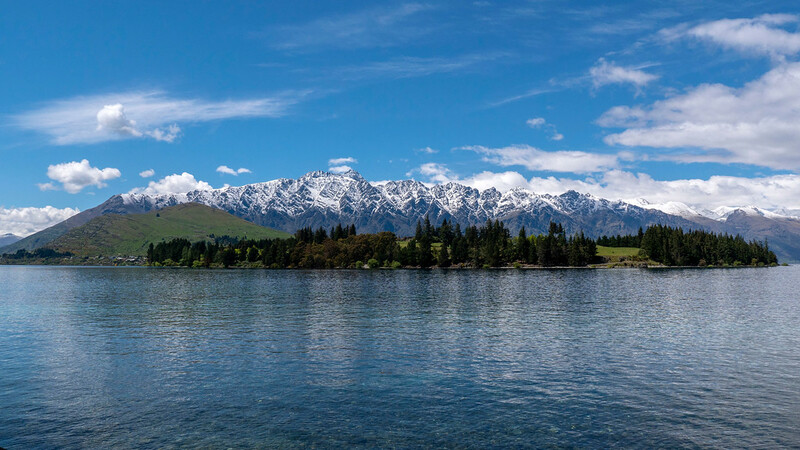 You’ll view the Remarkables mountain range from new perspectives and your expert driver will zip across the water with ease. 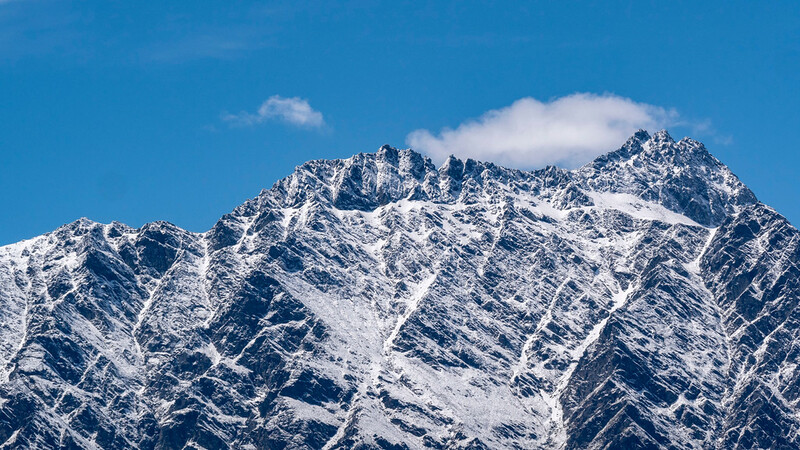 If you’re looking to view the Remarkables from another fantastic perspective, take a helicopter ride over the lake and the mountains from Queenstown. If you’re a fan of Lord of the Rings, you can take a full day LOTR tour from Queenstown. You’ll visit numerous locations and scenes from the trilogy, traveling in small groups for a memorable day trip. 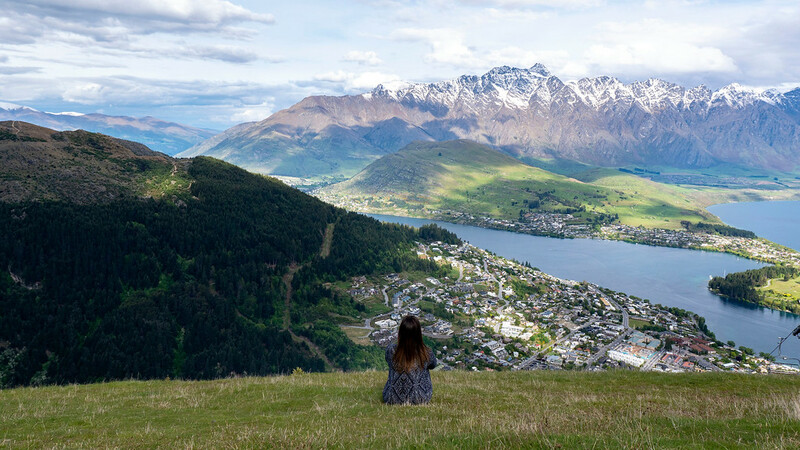 Another one of the best things to do in Queenstown is travel to the top of Bob’s Peak for outstanding scenery of the town and surrounding mountains. Queenstown is such a walkable place. From Lake Wakatipu, you can easily walk all over town and up to the Skyline Queenstown building at the base of the hill. 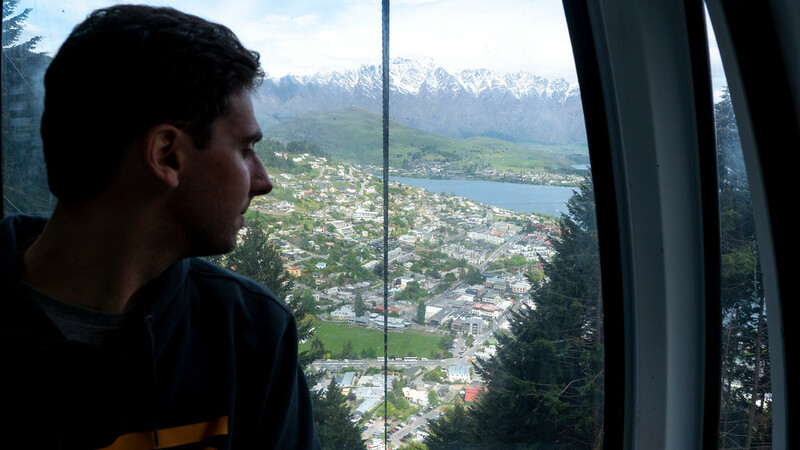 Ride the Skyline Queenstown gondola to the type, admiring the views as you glide up the mountain. While the gondola ride is a lot of fun, the real reward is right at the top of Bob’s Peak. 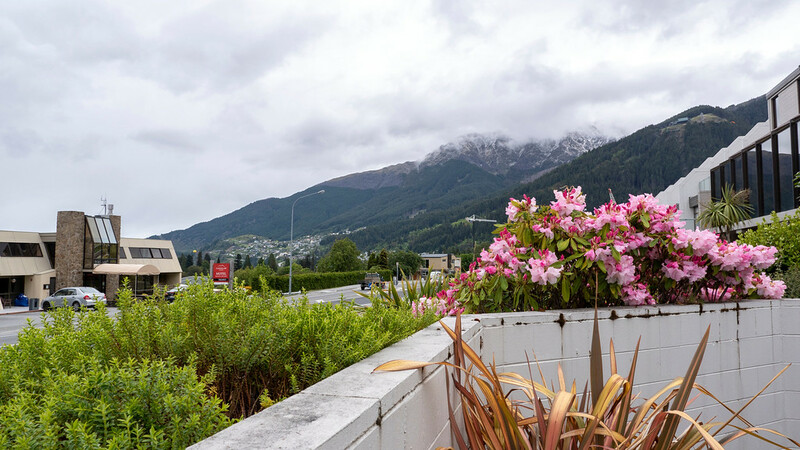 There are several vantage points where you can absorb sweeping views of Queenstown. The platforms around the main building were a little bit crowded when we visited. I recommend that you walk outside of the building to the grassy hill near the top of the luge track. From there, it will feel like you have the spectacular scenery all to yourself! You’ll have the option to purchase tickets for the gondola or a combined ticket to experience both the gondola and the luge track. The luge track looked like a total blast. Zip around in little go-karts through tunnels and around tight corners. If Justin and I hadn’t recently tried the luge track at Mont Tremblant in Canada, we definitely would have raced each other around the track. You don’t have to pay for the gondola ride to the top of Bob’s Peak. 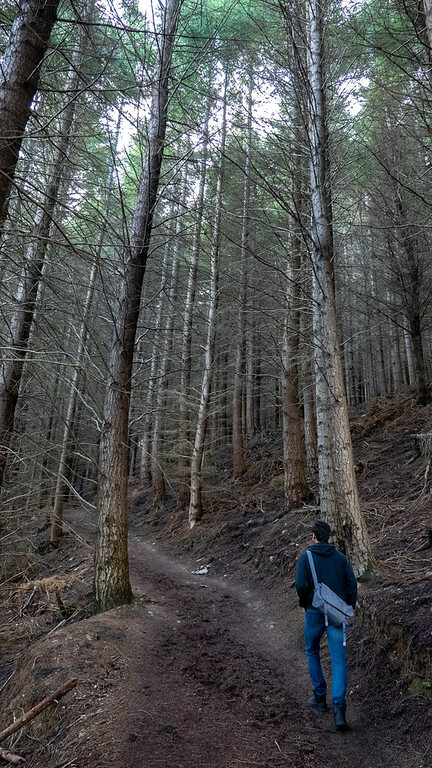 Hiking up the Tiki Trail is one of the best free things to do in Queenstown. However, the trali itself is rather steep, so make sure you pack the proper equipment for a day hike. Another option is to take the gondola to the top and hike the trail back down. It is pretty steep doing up or down, no matter how you look at it, so be prepared. The trails were a little muddy in the spring when we visited, so we didn’t venture along them too far as we weren’t fully prepared. You can begin your trek on the Ben Lomond Track from the Tiki Trail. It’s one of the most demanding hikes in town, but one with the greatest rewards as the view from the top is incredible. Set aside a good portion of your day for hiking to the summit of Ben Lomond (at least 5-6 hours). 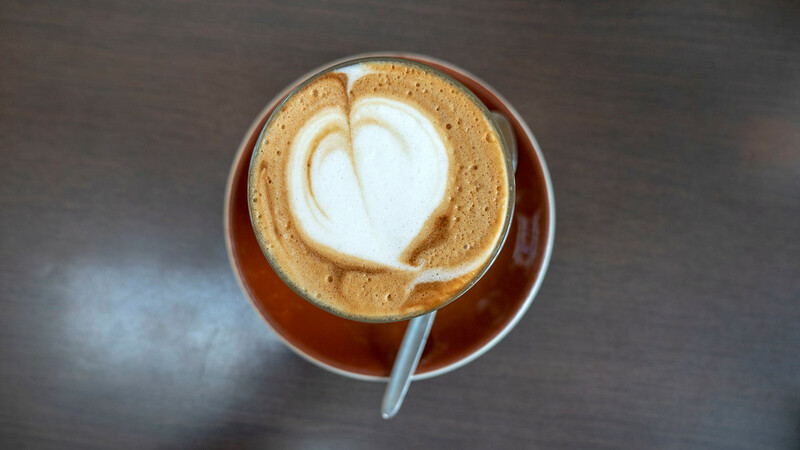 If you’re looking for what to do in Queenstown, you might be surprised to see coffee on the list. Hey, if you know me, you know how much I love my coffee! 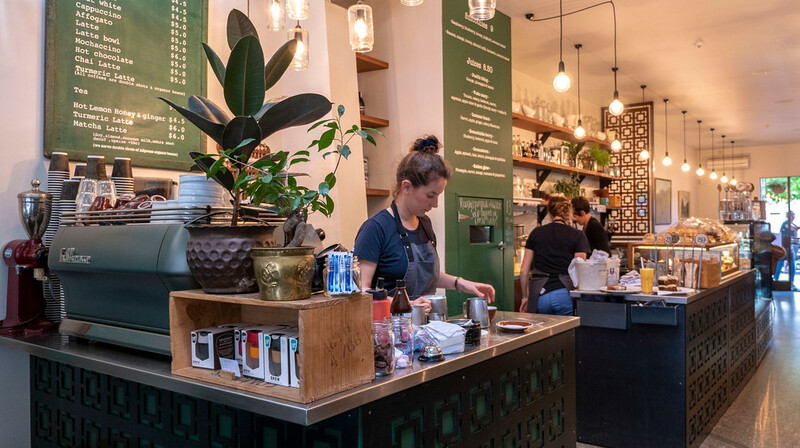 New Zealand has an active coffee culture scene featuring tons of independently owned cafes in Queenstown. No matter which one you choose, you’ll end up savoring a delicious brewed bevvie. We stopped at Vudu Cafe & Larder for an almond milk latte. While I wasn’t hungry, I noticed that there were some vegan desserts in the display case, too. This cute little coffee shop provided the perfect pick-me-up in the middle of our day. Okay, I admit it: one of my favorite travel activities is eating. I’m pretty sure I saw a meme about it recently – that the activities we do when we travel are just ways to fill time between meals? Alright, maybe that’s a bit extreme, but I do seek out the best plant-based meals wherever I go. Queenstown was no exception. Thankfully, there are so many yummy vegan meals in Queenstown and I felt spoiled in terms of choice. Yonder is a cozy spot right by the waterfront with a killer patio. 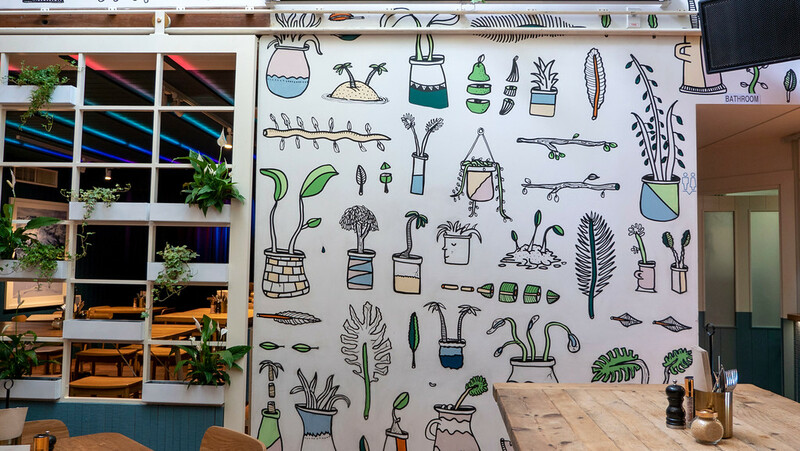 Indoors, colorful murals are splashed across the walls. I suggest heading to Yonder for breakfast or brunch as the best way to start your day. 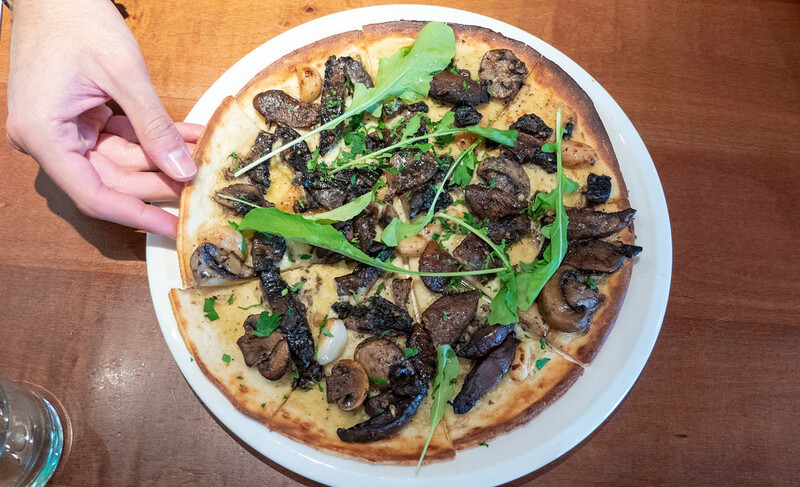 We easily found both vegan and gluten-free options at Yonder. 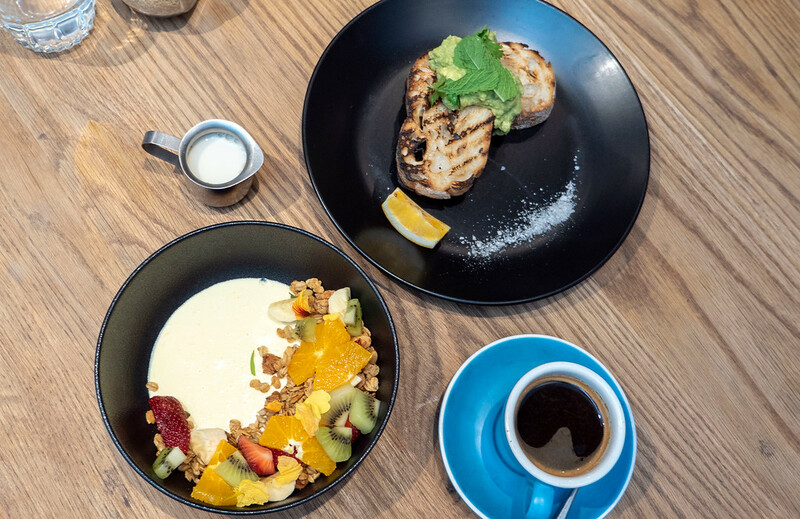 Justin ordered the smashed avocado on toast (which comes on gluten-free bread) and I got the granola with passion fruit panna cotta & fresh fruit. The menu has the vegan and gluten-free options clearly marked. We really loved dining there and wouldn’t hesitate to return. 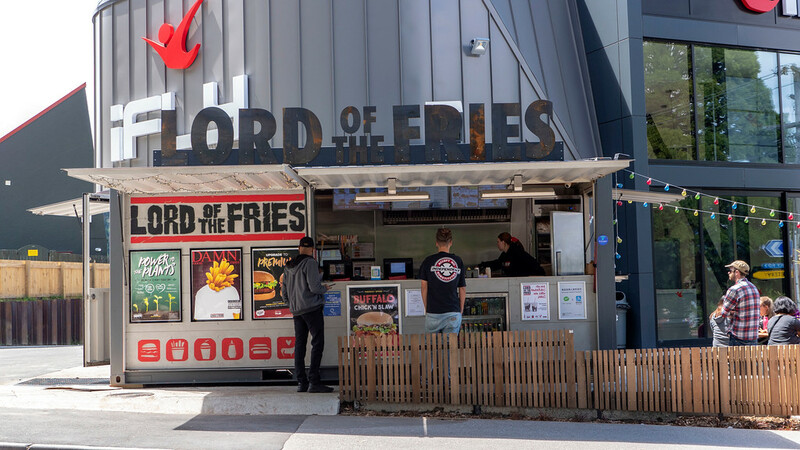 The Lord of the Fries fast food hut is conveniently located just below the Skyline Queenstown. We suggest going there for lunch before you head up to Bob’s Peak. 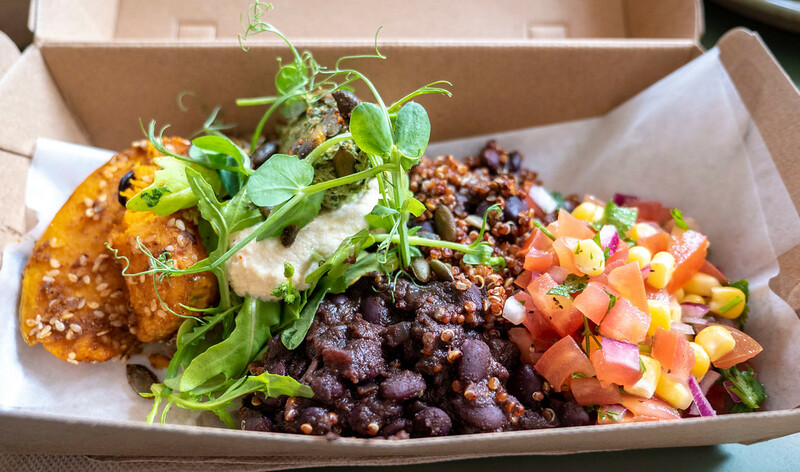 Everything at Lord of the Fries is 100% plant-based and cruelty-free. 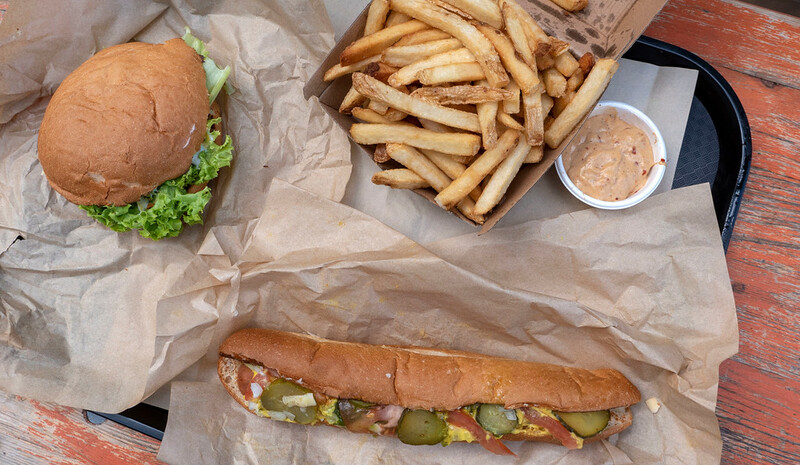 They have burgers, hot dogs, breakfast items, sides, and of course, fries. It might not be the healthiest choice, but it’s super delicious (and healthier than its meat equivalent). The famous place in town for burgers is Fergburger. It might not be the popular choice, but we’d rather not wait in line for hours to get a burger. And there aren’t a ton of vegan options on the menu like Lord of the Fries. Our advice? Skip Fergburger and head straight to Lord of the Fries. Bespoke Kitchen is a popular spot in town. It’s easy to see why: their carefully crafted menu focuses on health, wellness, and taste. They use fresh ingredients that are as local as possible. The menu changes up from season to season. I ordered the red velvet pancakes and Justin got the bean superbowl. We visited Bespoke Kitchen for lunch on our arrival day as we were starving after traveling for at least 24 hours from Canada. After dining there, we promptly returned to our hotel room to crash for a very deep sleep. 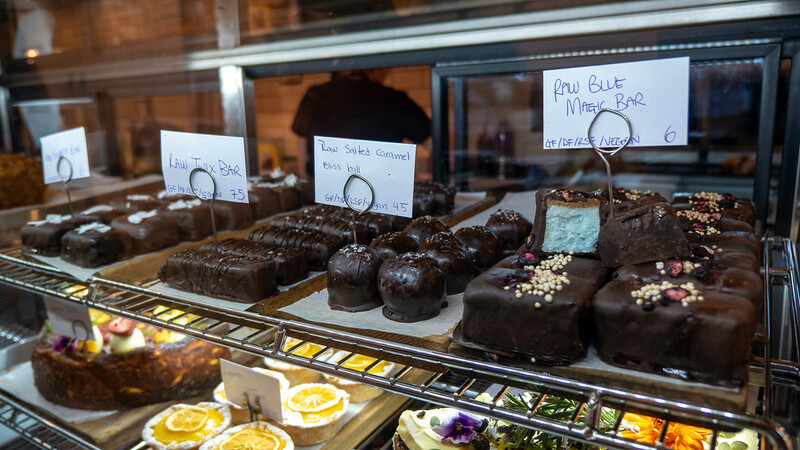 Oh, and they also have a huge selection of raw and vegan desserts. I ate a homemade Twix bar that was delish! 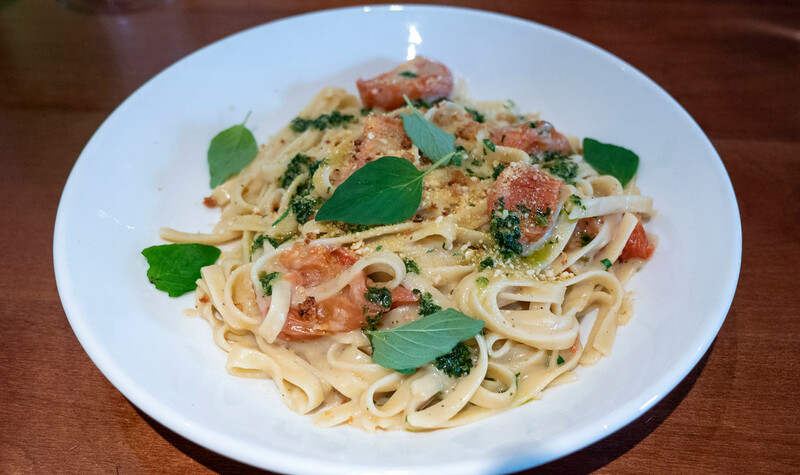 For dinner, head over to Farelli’s Trattoria for a mouthwatering Italian meal. There’s an entire vegan menu there! Choose from pasta, pizza, side dishes, soups, and more. I couldn’t resist asking for the vegan pasta alfredo, which I rarely see on Italian restaurant menus. Justin ordered a Bianco pizza with mushrooms and an alfredo base. 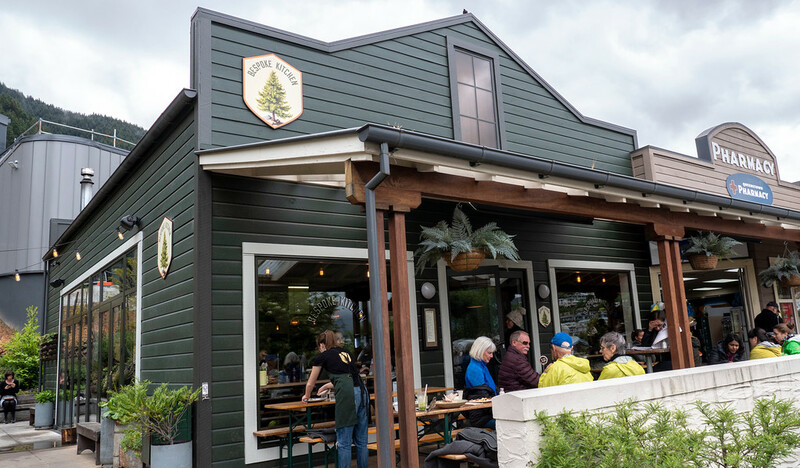 We were thoroughly impressed with this restaurant and all of our meals in Queenstown. 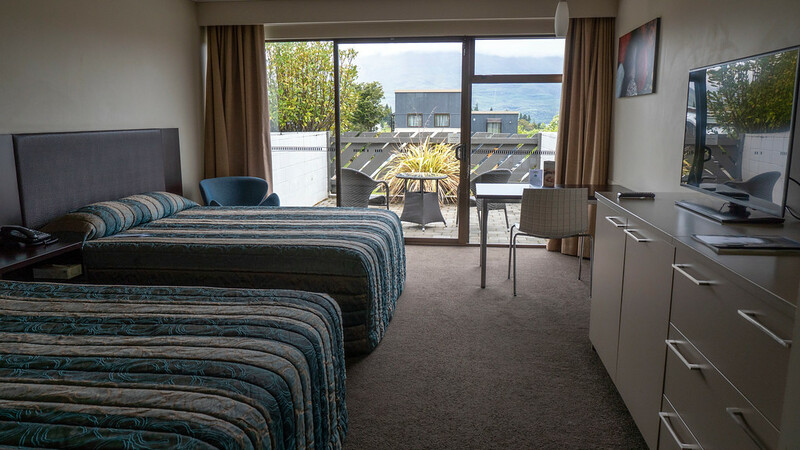 After participating in so many exciting Queenstown activities, you’ll want a comfortable place to rest your head at night. 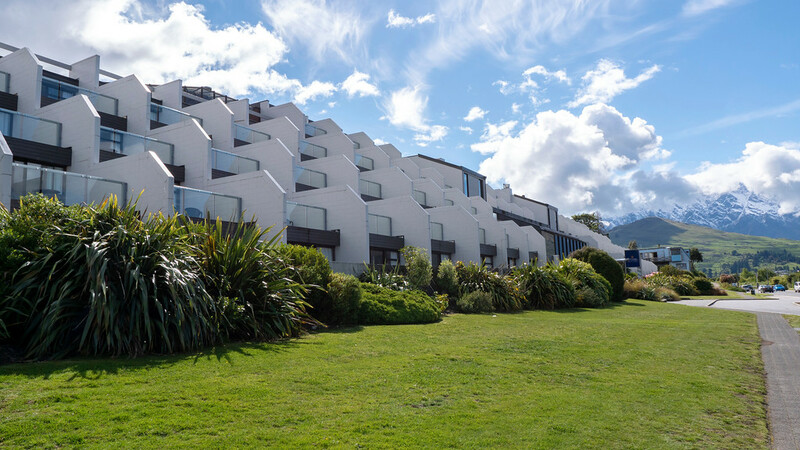 Justin and I stayed at the spacious Copthorne Hotel & Apartments, just a short walk from downtown Queenstown. You’ll enjoy a restful night’s sleep here. This hotel is very quiet and we were never disturbed. The hotel comes with complimentary parking in their underground private lot. Our room also had its own little private courtyard with beautiful views of the lake and mountains. You can also book larger apartments and rooms on upper floors with balconies, though we were perfectly content with our room on the first level. We adored the location, the large size of the rooms, and the two comfortable nights we spent there. 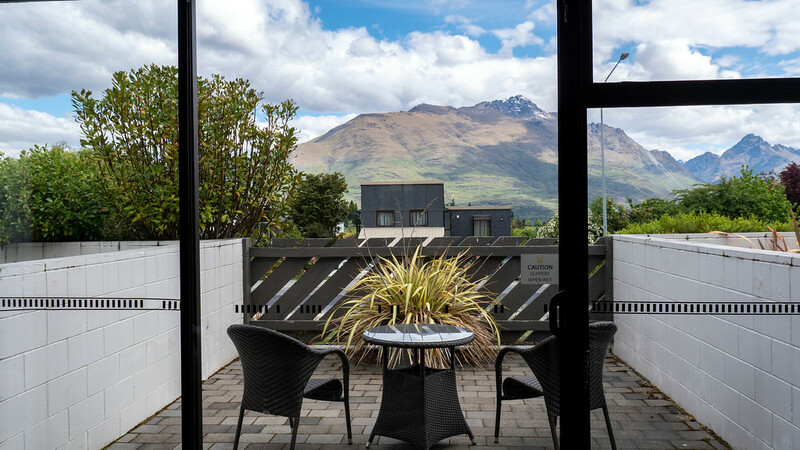 Justin and I wouldn’t hesitate to recommend this hotel for when you visit Queenstown. 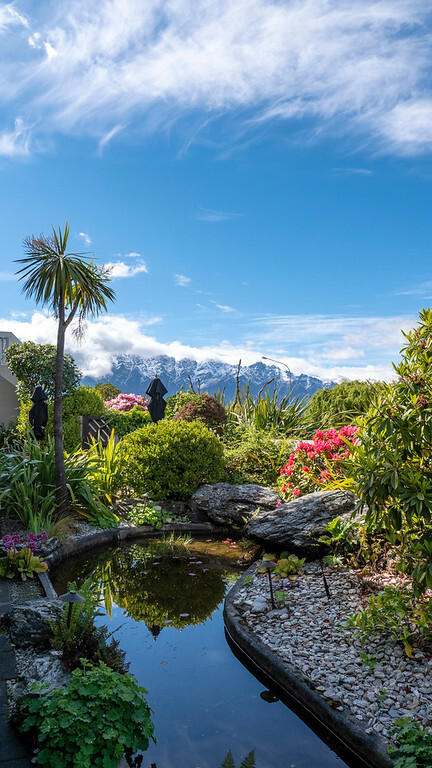 It’s the perfect base for venturing out, whether you spend one day in Queenstown or several. 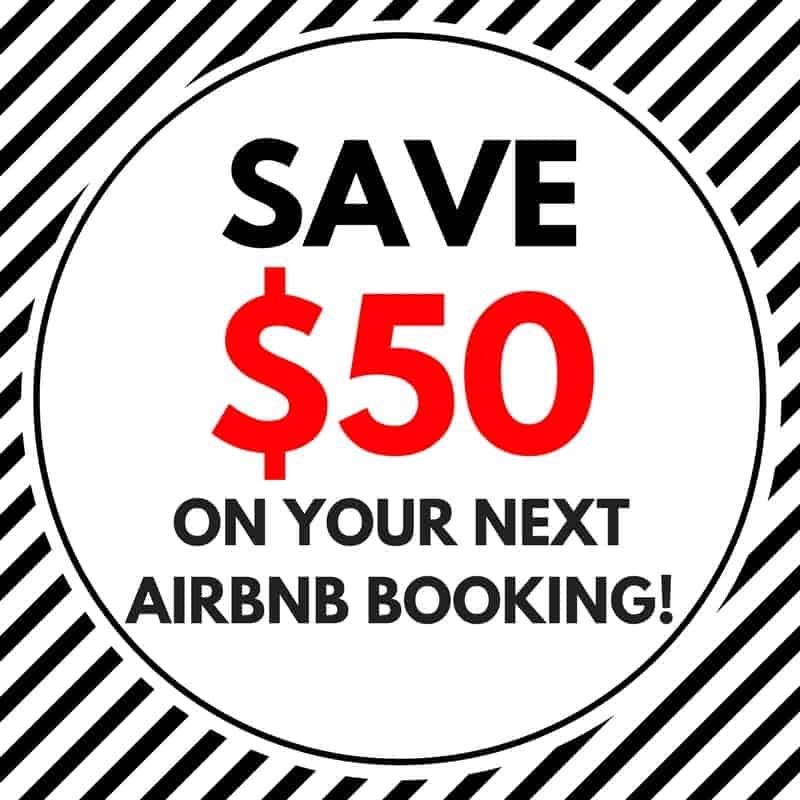 Book your stay at the Copthorne Hotel & Apartments or check out hotel reviews by fellow travelers. 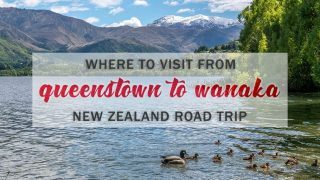 While we only had one day in Queenstown, we also traveled to several places within a short driving distance from Queenstown. 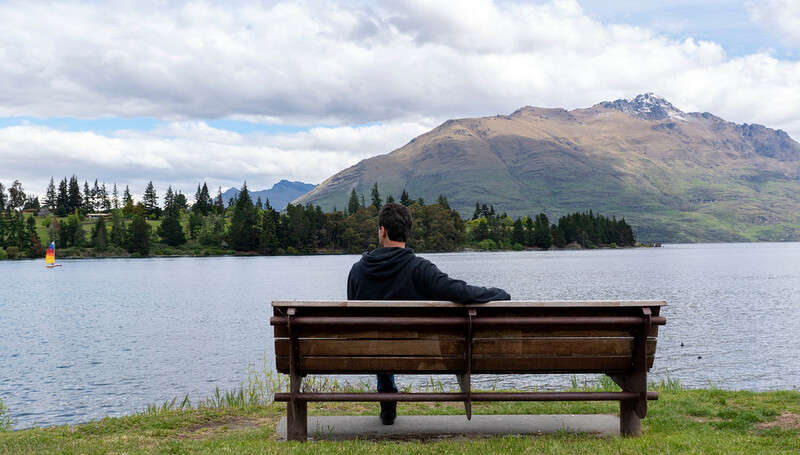 Consider a beautiful walk around Lake Hayes, just a short drive from Queenstown. 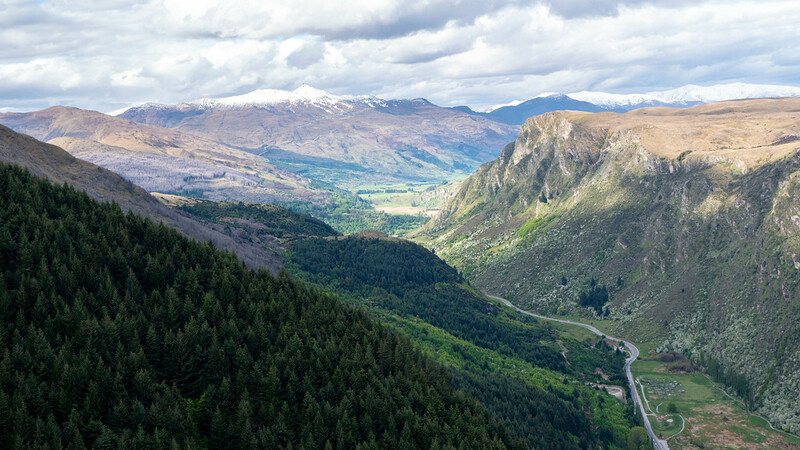 Then, make your way to Arrowtown for a quaint stroll around a historic gold mining village. We combined a trip to Lake Hayes and Arrowtown on our way to Wanaka. 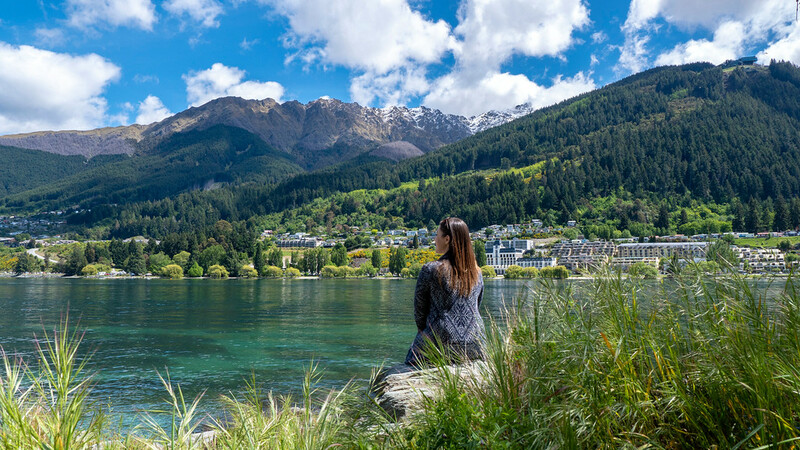 Learn more about our day trip from Queenstown, including attractions, sightseeing, food and drink, and more. 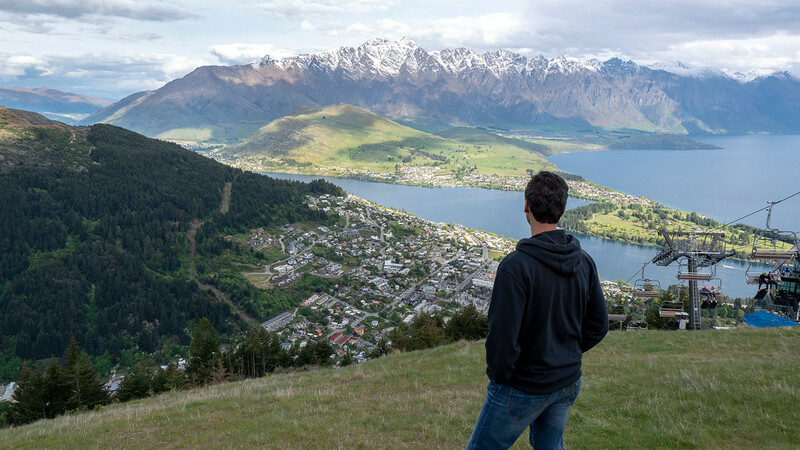 Check out our entire photo album from Queenstown, New Zealand. You can browse all of our trip pics, and even purchase housewares, prints, and digital downloads of our photographs – directly from every picture on our photography site! 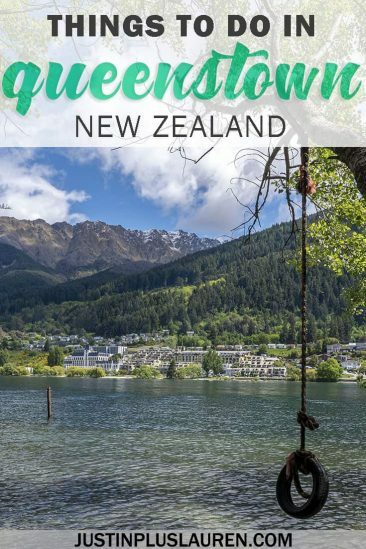 We hope that you’ve found this Queenstown travel guide to be insightful and useful for your upcoming trip. 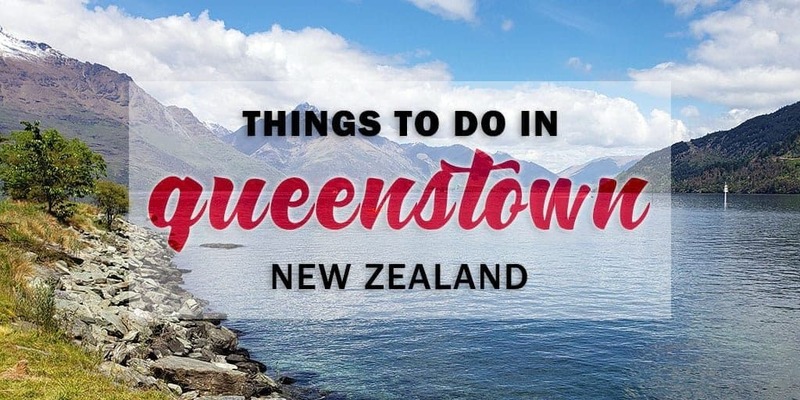 Please feel free to ask us any questions in the comments section if you’re still looking for more top things to do in Queenstown! PIN one of the above photos to Pinterest for future reference. Click the top left corner. 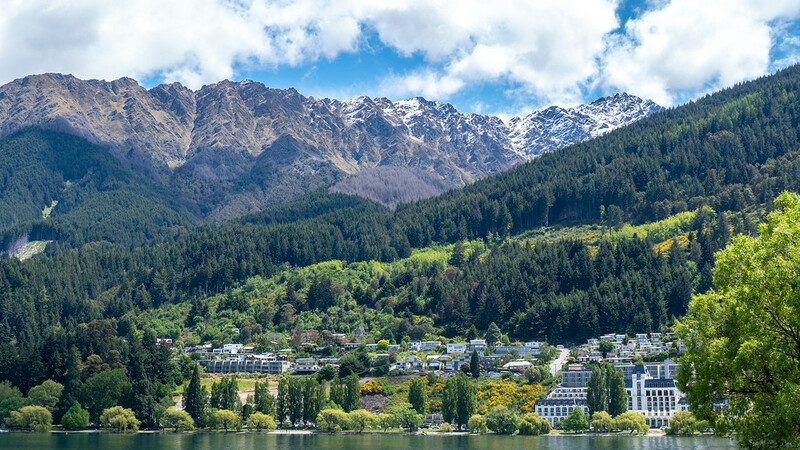 What do you love most about Queenstown? 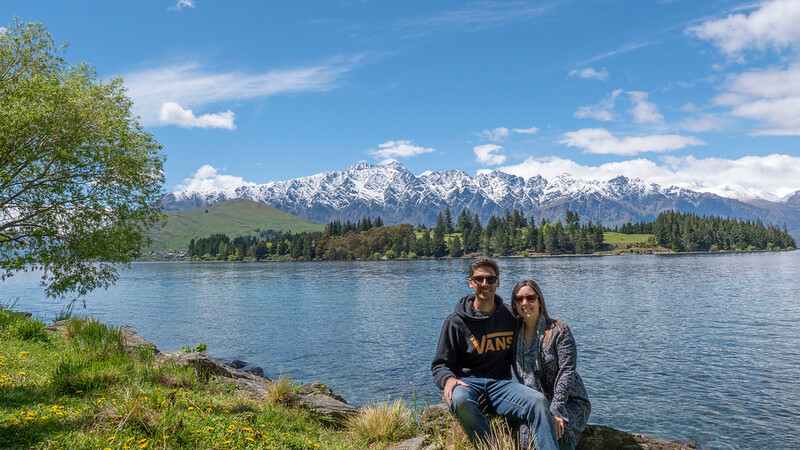 Check out our travels to Queenstown to help you plan your trip! A one day travel itinerary for Queenstown, New Zealand. 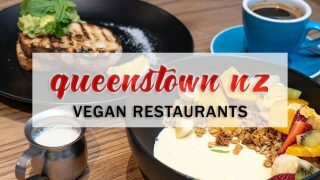 Vegan and vegan-friendly restaurants in Queenstown. Queenstown in Spring: A cinematic travel video to inspire your adventures. What to see from Queenstown to Wanaka in a day. I read your post about Queenstown and it is so interesting and informative, makes me motivated to be there one day. Thanks!! 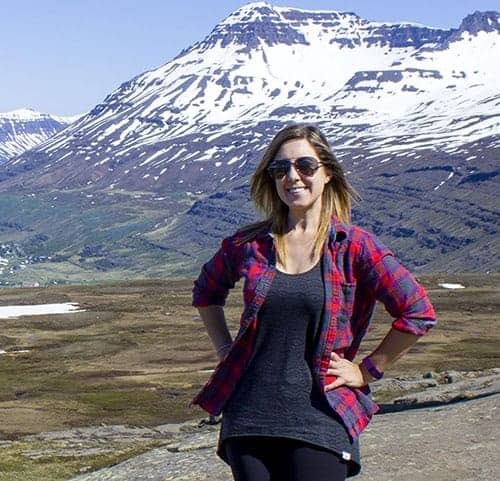 I like to exploring the nature through these beautiful mountains, lakes,…. it makes me mesmerized!! 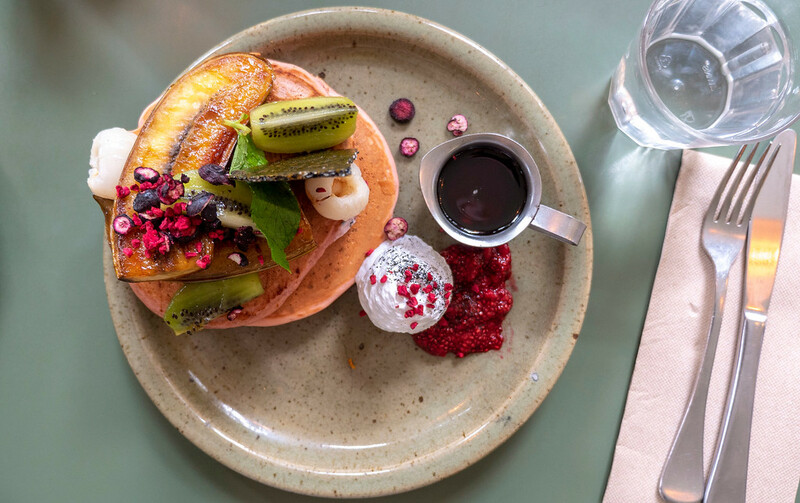 Apart from that, i really like the concept of bespoke kitchen that you have mentioned above, it allows visitors to get a particular plat based on their taste and a blast combination of flavours is guarented. 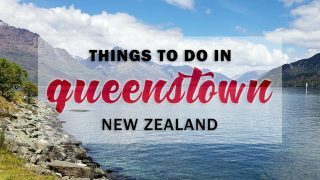 Would love to visit Queenstown and will use your recommendations! !